Change your bank accounts. This is something we recommend all of our clients do before bankruptcy. The reasons are straightforward – if you have any debt or credit (loans or overdrafts) with your current bank they may close your bank account a soon as they receive notice of your bankruptcy. It is far better for you to make the decision and plan for the new account, than to find out your old bank is no longer honouring your payments for your mortgage, rent, car, insurance, etc. Even if you don’t have any outstanding amounts owing with your bank, the other people you owe money to may have been authorized to make automatic withdrawals from your account. These withdrawals should stop once you file bankruptcy, but if they don’t you may suddenly find yourself with no cash in the bank. Double check all of your automatic payments. When you change banks you need to contact all of the people that have been taking automatic payments and provide them with your new account information, otherwise they’ll try and access your old account and your payment may bounce. This is particularly important if you are trying to negotiate with your lender to keep a car or house during your bankruptcy (or consumer proposal). Cancel any contracts before you file for bankruptcy. Seriously consider all of your monthly expenses and contracts with a mind towards reducing your living expenses. If you have a 3 year cell phone contract that you don’t really need or want then you may break the contract by declaring bankruptcy, but you need to make the decision to break it before you file so that the company can be included in your bankruptcy. This goes for any contract you have, including car loans and leases. You are filing bankruptcy in order to clean up your money problems – if you can’t afford your car lease you can surrender the car as part of the bankruptcy and obtain relief from the payment. Make sure you can live without credit. 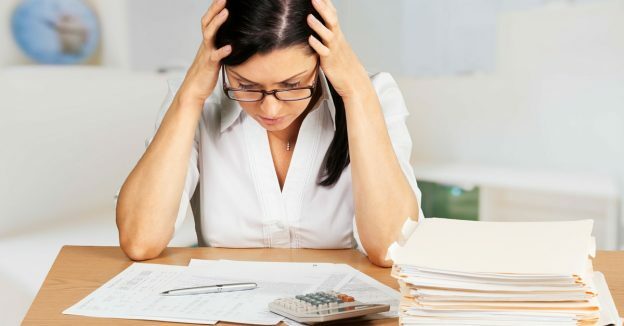 It is not uncommon for us to suggest that a person wait 30, 60 or even 90 days before declaring bankruptcy, just to make certain they can live on their income. If you have $2000 a month coming in and it costs you $2500 a month to live, well, declaring bankruptcy won’t solve all of your money problems. You need to know that if you have $2000 a month coming in you can live on $2000 a month or less. Finding out you can’t afford to live on your income after you’ve filed may actually make your situation worse. Take a good hard look at your living expenses and find ways to live within your means after your bankruptcy. 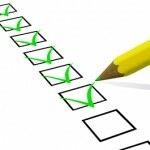 Do a final review of your other options just before you file. I am sure you’ve already considered whether a debt consolidation loan might work, or a debt management plan, or even a consumer proposal. There is nothing wrong with going over all of your options with your bankruptcy trustee again before declaring bankruptcy. 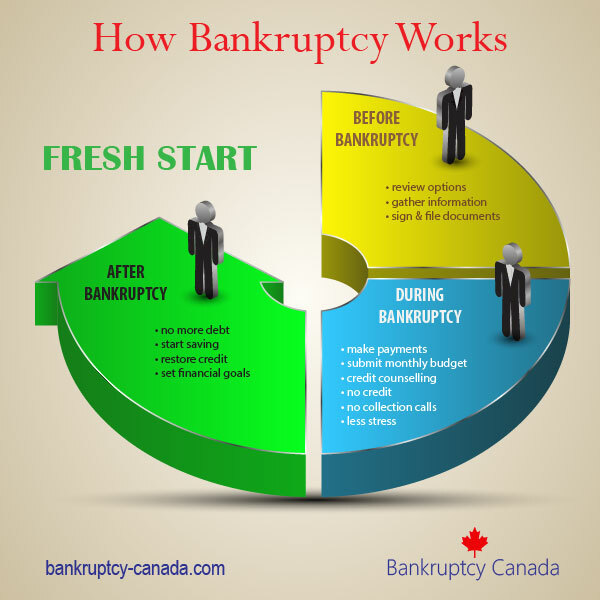 You can’t be a little bit bankrupt – once you declare bankruptcy you need to complete the procedure. If you do these five things before you file for bankruptcy, your bankruptcy is much more likely to go smoothly. Your goal when declaring bankruptcy is to clean up your financial problems. The last thing anyone wants is for any legal procedure, including bankruptcy, to become complicated and expensive because you failed to take the time to prepare for it properly. If you need help understanding what contracts you can cancel, how you car or home is affected by a bankruptcy – talk to a bankruptcy canada trustee in your area today. Does A Bankruptcy Trustee Seize Your Bank Account? I am on the Gov’t disability income through Social Services and I also have a part-time job to supplement the income. My physical health is declining making my ability to acquire more work extremely difficult. I now have just enough income to pay my phone bill, Basic TV service (which i may have to cancel) and the rent Which includes utilities. My debt is no longer payable anymore and I am looking at bankruptcy but was told once that people on government assistance do not qualify To declare bankruptcy. Is this true? Hi Kathy. You qualify to declare bankruptcy in Canada if you owe more than $1,000 and are unable to pay it, so you qualify. Whether or not you should declare bankruptcy is another issue. For most people bankruptcy is a way to eliminate their debts so their creditors don’t take them to court and garnishee their wages. If most of your income is through a disability income, which is very difficult if not impossible to garnishee, it is likely that your income is protected. So, you could simply open a new bank account at a new bank, cut your expenses so you can pay your living expenses based on your income, and inform your creditors that you are on a disability income and therefore unable to pay them. 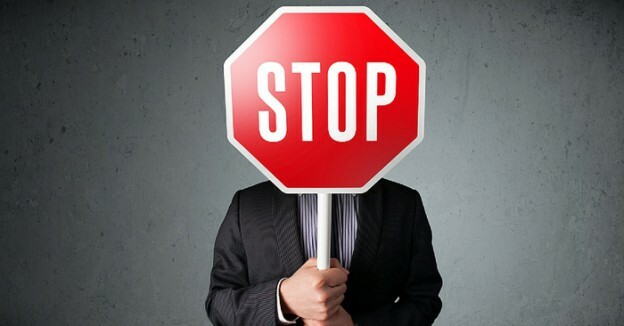 They may continue to contact you, but there may be nothing legally they can do. Your other option would be to go bankrupt, but there is a cost to bankruptcy. Most trustees will require you to make a monthly payment to cover the costs of filing the bankruptcy, and you would also lose any tax refunds and perhaps any GST/HST refunds you are entitled to, so you would have to decide for yourself whether or not the cost is worth it. You can contact a trustee for a no charge initial consultation to determine if bankruptcy is a suitable option in your situation. Can you tell me how many months of bank/credit card statements are required when filing for bankruptcy. Also interested in knowing if a preplan funeral loan is exempt from bankruptcy. It was a few years back but still has a balance left owing. Hi James. These are questions you should ask your trustee, as each trustee may have different requirements, depending on your situation. Most licensed insolvency trustees want to review three month’s worth of transactions prior to bankruptcy, but this may vary depending on your circumstances. As for a prepaid funeral, it would be considered an asset, assuming there was any value in it. In your case it appears that there is a balance owing, so it would appear to have limited, if any, value. Again, your trustee can review your documents and provide you with a specific answer.